Black Friday and Cyber Monday have become retail traditions of the U.S. Thanksgiving holiday, when many companies offer some of their best deals of the year. Characteristically, Costa Cruises is putting its own Italian-style spin on the season with its “Grazie-Giving Sale,” which runs Nov. 24 through Nov. 29, and will feature the line’s lowest rates of the season on select sailings, including a seven-night Mediterranean cruise on Costa’s flagship, Costa Diadema, starting at $399 for an inside cabin and $549 for a balcony cabin. Online reservations will open early Thursday, Nov. 24 at 6 a.m. EST, with reservation phone lines opening at 9 a.m. Friday, Nov. 25 (phone lines will be closed on Thanksgiving). Rates will remain at their lowest throughout the six-day promotion based on availability and will end at 5 p.m. Tuesday, Nov. 29, 2016. For the 2016 sale, Costa has extended the rates to include both the Caribbean and Mediterranean. Fares for a seven- to 10-night Caribbean cruise begin at just $449 for an inside stateroom, with balcony cabins starting at $749. Seven-night winter Mediterranean cruises begin at $399 for an inside, with 12-night winter Med sailings starting at $799. All rates are per person, double occupancy, based on availability. 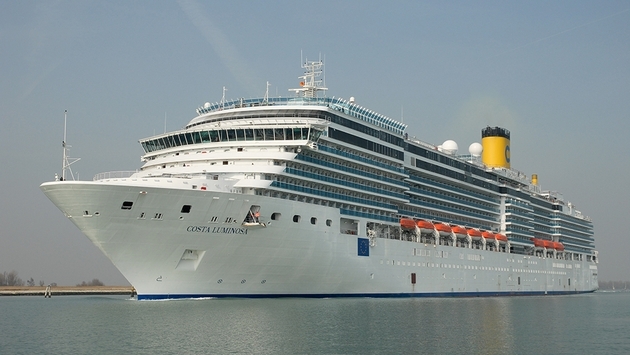 Those booking online can visit costacruises.com, while those who prefer to make a reservation via phone should call 800-GO-COSTA.